LTL rates get a lot of attention. 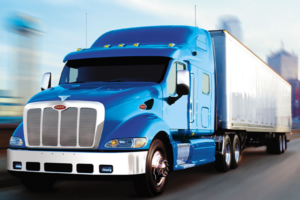 Understandably, customers who need to move freight want the lowest LTL rates they can find. When marketing, freight companies talk about low rates. But a rates-first approach guarantees higher costs. To make the most of an LTL rate, a shipper needs to put first things first. What comes first? A company that needs to ship, or even a logistics company looking for a partner, should evaluate the customer service approach of a potential vendor first. Great customer service guarantees more savings that a low rate. Great customer service also prevents a lot of headaches, overtime and angry customers. After all, freight and logistics isn’t about cost. It’s about your customer and your customer’s customer. LTL is a service that allows you to better serve your customer, so it’s time to put a focus on what’s really important. I mean, I can’t tell you how many customers have told me they called their broker to get an answer and instead got the run-around. Or worse, they couldn’t get through to anyone. It was just auto-attendant hell. LTL rates do offer one benefit. The create an easy to grasp perception of savings. It’s simple math – this rate is lower than this other one. Unfortunately, this eliminates a host of factors that must be considered. Based on this, which one looks like the lower cost? Factors like time, claims and lost future business due to late deliveries should be considered in every decision. Great customer service offsets and prevents problems like these. Plus, it becomes invaluable when unexpected events like severe weather strike. With a great customer service team at your side, you won’t panic or worry when something comes up. You’ll know you aren’t alone and that the problems will get solved. In this way, the value goes way beyond the dollars it will save your business. Great customer service will protect the health (and sanity!) of you and your employees. If you deliver great customer service to your client (be you a logistics company or a business who ships to customers), you build a great reputation. And this creates more business, sales and boosts your bottom-line. Nothing beats a great reputation. So what should you do if the freight broker you want to work with has great customer service but has slightly higher rates? Take an objective look. Perhaps those rates are actually substantially lower given the indirect savings suggested by the equation above. So, look at the difference as an investment in future business. When trouble arises – and it will, they’ll be there for you…and you’ll be there for your customer. You’ll turn the problem into opportunity. In the end, the great customer service you invest in will turn into great business relationships and even greater opportunities.